At the Law Office of Gary Poole in Chapel Hill, North Carolina, I want each person visiting my office to feel comfortable and have a good understanding of my firm and approach to handling motorcycle injury cases. To that end, I have provided answers here to some frequently asked questions. For answers to other questions you may have, please contact my firm today and schedule an initial consultation. If you handle my case, how and when do I pay you? I work on a contingency fee basis. This means that I am paid a percentage of the settlement amount in your case. In other words, I am only paid if I am able to get you the compensation you deserve. Do you make home or hospital visits? Yes. I am happy to meet at the most convenient location to you. Will you travel to meet me? Yes. I routinely travel throughout North Carolina to meet with motorcyclists to talk about their cases. What happens if the other driver has little or no insurance? When this situation occurs, you may have uninsured and underinsured motorist coverage under your own motorcycle insurance that can be of help to you. 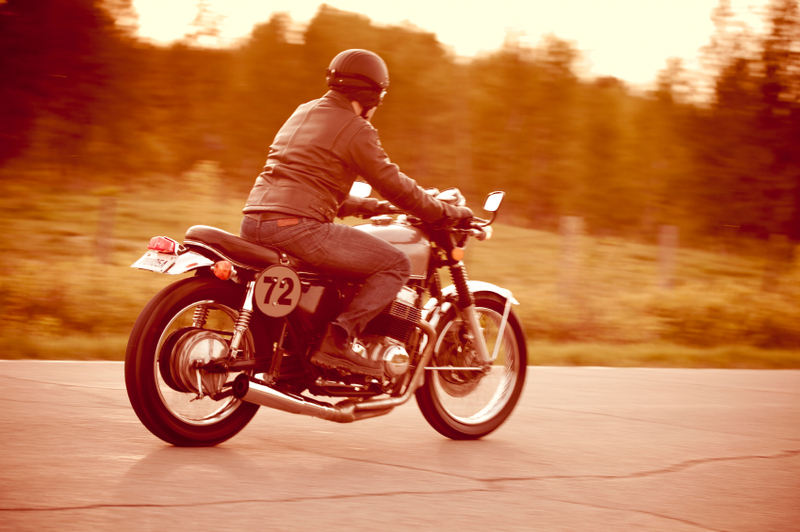 I have significant experience in representing motorcyclists who have had to use their uninsured or underinsured motorist coverage under their own motorcycle insurance policy to get compensation. What exactly does it mean to have a personal injury case? It means that your injury is the result of another party’s negligence. If you have been injured due to the negligence of another driver, you receive payment from the insurance company of the driver at fault, which is referred to as a settlement. A settlement is a lump-sum payment made up of any of the following items that apply to your situation: medical expenses, lost earnings, past and future pain and suffering because of your injuries, and permanent injuries. What about damage to my vehicle and other personal property? I assist clients in obtaining compensation for damage to their motorcycles as well as any personal property damaged in the accident, such as helmets, jackets, cell phones and pants. I work to get fair market value for such damaged objects. Do you collect a percentage of the property damage settlement? No. I only collect a fee for handling your personal injury claim. Obtaining compensation for damaged property is simply part of my service to you. Will I have to deal with insurance companies? No. As your motorcycle accident lawyer, I will deal with your insurance company. I have been practicing for over 33 years. If you have further questions and would like to schedule a free initial consultation or you wish to discuss with me the particulars of your motorcycle accident injury or other motor vehicle personal injury case, please contact the Law Office of Gary Poole. I keep flexible hours and provide personalized care. Call 800-942-1191 today.